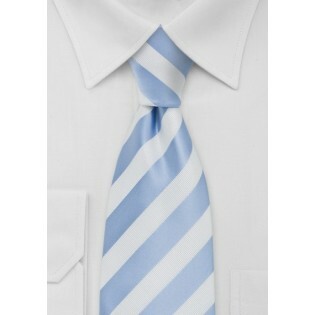 You can make a powerful statement with this elegant baby blue and white striped tie. Wear this tie on a sunny day and match the tie with a smile. This tie is designed by Puccini and made from a fabric woven with microfiber. The result is a tie with a modern, contemporary look. 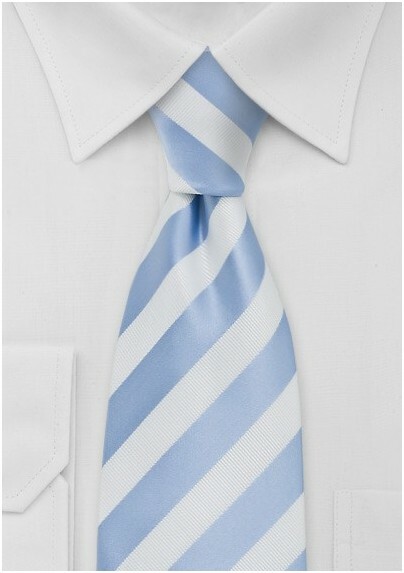 This tie is definitely an excellent addition to your collection of classic summer stripes. The effortless elegance of light blue and white is unmistakable. You won't be disappointed.